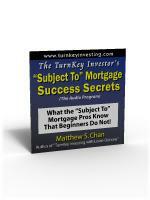 This CD offers great info that only an expert could share. 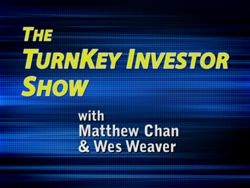 Matthew Chan has once again shared his “street smarts” about the secrets of using the “subject to” real estate investing method. Before you buy another property you or are interested in investing in real estate you should consider this CD an important part of your education. 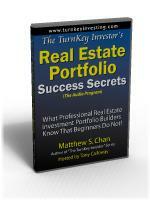 You get valuable information that can make a huge difference in your investment results! 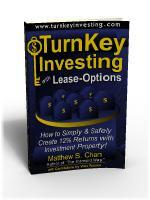 The CD is clear and easy to understand, even for the new investor. Consider the $10 bucks a real steal! Another great production from Matthew Chan. Matthew share with listener the powerful technique of “Subject To” with the main stream audience. Normally the topic on “Subject To” only be taught to advanced real estate investor at multi-day workshop that can easily cost thousand of dollars. Or only discussed on tape set that can cost few hundred dollars..
Matthew bring the knowledge to the public at very reasonable price. If you are searching and want learn what advanced investors know already, yet not ready to spent hundred to thousand of dollars for the education, well, now you got an alternative, spent the $10 to learn from Matthew first and decide if you wish to spent more money for the next level of education. 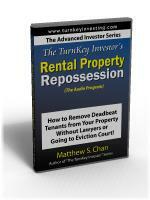 Thanks to Matthew Chan and “The ‘Subject To’ Success Secrets,” I now own two properties! I was like many would-be real estate investors. I’ve read dozens of books and ordered several courses over the past ten years. 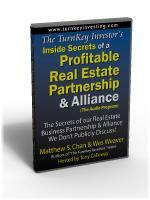 I joined the Real Estate Investors Association and had attended workshop after workshop. I was “educated” . . . but I always felt unsure and afraid to actually put this knowledge into action. And from a personal standpoint, (which is also typical of many beginning real estate investors), I didn’t have enough cash to buy an investment property and my credit wasn’t sufficient to get bank financing. I figured that investing a few dollars for this audio program was a low-risk proposition. And WOW! After listening to “The ‘Subject To’ Success Secrets” I felt that I’d finally found the missing puzzle piece. Matthew Chan speaks candidly about the often-discussed, but widely misunderstood strategy of “subject to” financing as a powerful and practical tool for acquiring real estate. 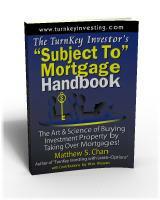 He clearly lays out the key points and puts this form of seller financing into proper perspective. I’ve read lots of other resources on this topic. But if you want to hear a concise, straight-forward and informative discussion about “subject to” financing, there is none better. Yes, I now own two properties. 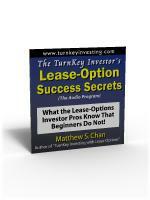 Thank you Matthew Chan for such an easy-to-understand audio program that was exactly what I needed to get on the road to real estate investing success. This program helped me finally put years of learning into action using a strategy that works. If you want to know a secret then this program is for you. I bought this program cause i have falling in love with matthews program. Matthew is able to take a subject and discuss it in a way that everyone can relate. THis program is very similar to his other programs, but it covers the investing technique called subject to. Matthew has done many of these deals and is willing to share some of these secerts. I mean for a couple bucks how can you go wrong. If i am being honest this cd has actually made me money from the information that is present in it. So if you are a person on the go, then these programs are great.